We, at BCCET, are excited to announce a partnership between the British Columbia College of Equine Therapy (BCCET) and NATURAL TOUCH THERAPY INSTITUTE (NTTI) to expand and enhance the two year BCCET Equine Sport Therapy program in Alberta and Saskatchewan. This will fill the demand for the knowledge in the equine therapy world. It also enables the program to be accessed by students residing in mid and eastern provinces as well as international applicants. Dave Collins will be working closely with the NTTI and its owners, Brenda Fitzgerald and Janelle Lukan. Brenda and Janelle are both graduates of our BCCET Equine Sport Therapy program and have put a lot of effort into furthering their education. (See biographies below.) The BCCET Equine Sport Therapy program is being taught at both NTTI locations near Edmonton (Barrhead), Alberta and Saskatoon (Vanscoy), Saskatchewan. They are now accepting students for 2019 fall classes at both locations. If you are interested in attending the BCCET Equine Sport Therapy program please fill out an online application by clicking here. If you have further questions please email Brenda and Janelle at [email protected] or visit www.natural-touch.ca. At this time Dave is teaching full time until all students from 2017 and 2018 intake have graduated. During and after this, Dave will have more time to work with NTTI to help expand the Equine Sport Therapy program. Dave and his wife Dawn are very excited to partner with Brenda and Janelle to bring new ideas and education to the industry. Janelle Lukan grew up around horses and rode every chance she had. She enjoys many English and Western disciplines with Dressage being one of her main loves. Janelle is a Certified Equine Sports Therapist through the B.C. College of Equine Therapy and has established Natural Balance Equine Therapy. Janelle is passionate about helping horses reach their peak performance. She concentrates on a “whole body” approach to wellness and balance. Her focus is on treating the cause of the issue, not just the symptoms. Janelle uses a combination of modalities tailored to best treat each horse. Janelle is always seeking out clinics and further education in order to continually grow and develop her skills as an Equine Sports Therapist. Since graduating from BCCET, this desire has taken her back to BC for several post-grad classes such as Hoof Balance, Advanced Emotional Therapy and BioMagnetic Pair Therapy. Janelle is a Sanctioned Foundation of Integrated Therapy For Animals Instructor. She has also added Positional Hepads through Upledger Institute and Equine Applied Kinesiology to her repertoire. She has sights set on adding EcoSomatics Equine through Upledger Institute to her education. Her previous work with troubled horses has led her to training horses with a focus on physical and emotional rehabilitation. Janelle has broadened her colt starting skills and knowledge by attending colt starting clinics with industry leaders, such as John Tilley and more. In Janelle’s future, she sees adding a deeper level equine rehabilitation to her existing business. She enjoys helping horse owners learn more about their horse’s health and well-being through hands on teaching. 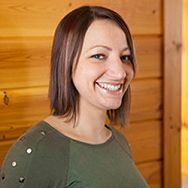 Janelle’s passion for providing horse owners with the information and skills to aid their own horses is what drew her to develop the Natural Touch Therapy Institute with her business partner, Brenda Fitzgerald. Janelle and Brenda are eager to combine their knowledge alongside Dave Collins this September at BCCET. Through the NTTI and BCCET partnership, they are excited for the avenue of continuing advanced education in the equine therapy industry. Brenda Fitzgerald grew up at the race track where she worked her way through the ranks starting out with a Groom and a Gallop License at age 14, and obtaining her Trainers Licence at the age of 18. She has over 10 years experience with colt starting and horse training. Brenda has a background in Three Day Eventing as well as Barrel Racing and has now changed her focus to a new discipline and is greatly enjoying Reining. Brenda trained and worked as a Dental Assistant and then discovered her love for knowledge and anatomy. 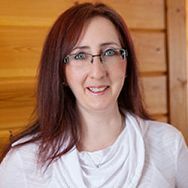 She is certified in Swedish Relaxation Massage through the St. Albert Training Institute and is currently completing the Massage Therapy Diploma Program through the Alberta College of Massage Therapy. Brenda graduated from the B.C. College of Equine Therapy with Honours of Distinction. Brenda is a Sanctioned Instructor with the Foundation of Integrated Therapies For Animals. She has also added CranioSacral Therapy Level 1 & 2, SomatoEmotional Release Level 1 & 2, EcoSomatics Equine Level 1-3 and Teaching Assistant Qualified for EcoSomatics Equine Level 1-3 from the Upledger Institute to her list of accomplishments. Brenda owns and operates Just A Touch Therapy, in which she divides her time between humans and horses. Her focus in treatment is to facilitate a wholistic balance of the body, physically, mentally and emotionally. Love for learning has Brenda travelling throughout Canada and the United States to access high caliber therapy programs and courses in which to further her knowledge and abilities as a multi-modality therapist. Her interest in anatomy provides her with unique and easy ways to conquer this often-over-whelming topic for many students. Brenda’s true passion lies in sharing her knowledge of therapy to increase the quality of life for our valued ‘fur family’ members. Brenda and Janelle bring their passion and love of animals, therapy, and sharing together in the Natural Touch Therapy Institute where they pass on to their students the ability to delve past the physical symptoms to discover the root of the imbalance. Their ability to approach the body with softness, timing and feel has made them highly successful with the most challenging and sensitive horses and dogs. The next phase of the journey for Brenda and Janelle will be working alongside Dave Collins at the BC College of Equine Therapy, where they are sure to bring their unique perspectives to the table. The partnership between BCCET and NTTI will be a benefit to the future of equine therapy and advanced education.